Alsco New Zealand designed a whole range of Food Processing workwear that suits all the necessary health and safety guidelines and rules. It will make your life so much easier because your employees will always have high-quality, extra comfortable and perfectly clean uniforms. 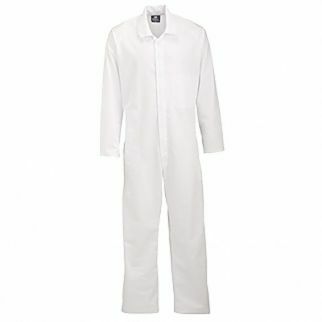 This long sleeve dairy overall is made with high-quality fabric that offers toughness and durability. It has a wider space along the underarm area to allow you to move better. Additional features include dome fastening instead of buttons to avoid contamination, stain resistance, lint and shrink free considering it is made with a combination of cotton and polyester.